What's happening on Kauai? : First-time Homebuyers' class - October 6, Thursday, 6pm. First-time Homebuyers' class - October 6, Thursday, 6pm. If you are thinking of buying your first house on Kauai, I HIGHLY recommend attending this class. You will learn important information that will help you to make necessary decisions before you even start looking for a house. 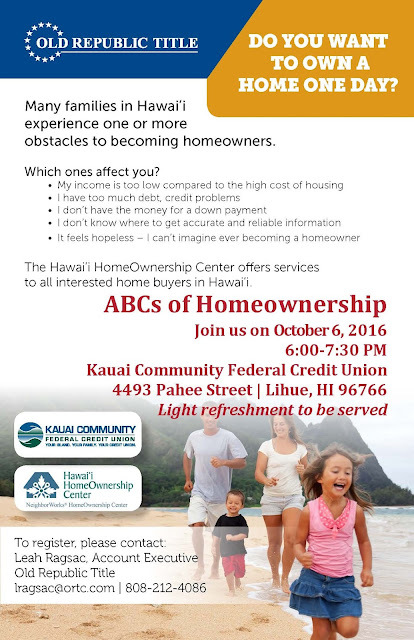 Also, you will find out about resources available for 1st time homebuyers on Kauai.